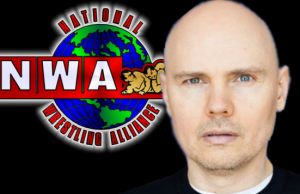 The National Wrestling Alliance is pleased to announce its latest and most ambitious project to date: “NWA Classics 24/7″. This vintage collection of wrestling videos is from the archive of legendary Houston Wrestling Promoter Paul Boesch. The Paul Boesch video library comprises matches from the late 1960’s through 1986. The vast majority of these matches have not been seen in over 30 years. Paul Boesch brought in the very top wrestling talent from around the world. 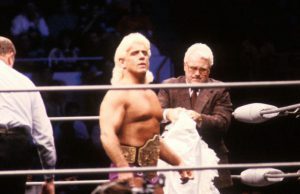 This collection features many of the greatest NWA matches ever seen. This initial launch includes 50 complete matches featuring dozens of the greatest names in the history of professional wrestling. 24-Man, Two-Ring Battle Royal with a Surprise Winner! Plus – Early Shawn Michaels footage, Superstar Billy Graham, the JYD, Jake “The Snake” Roberts, “Hacksaw” Jim Duggan, The Rock n’ Roll Express, and more! We are not stopping here – starting mid-July, we will add new matches every day! NWA Classics 24/7 is a subscription-based service priced at $8.99 per month or $99.00 per year (equivalent to 1 free month) for unlimited access and viewing! For those who have already registered a username with cleeng.com and viewed the Free Highlight reel, you will simply select and purchase your subscription plan and enjoy the content. NWA Classics 24/7 is compatible with almost every online device, including Apple IOS, Safari, Google Android, Chrome, Chromecast, Mozilla Firefox and more! There are minor issues regarding streaming on Internet Explorer but we are currently working on this and it is not an issue on all devices.